Our wide and growing selection of Christmas carols includes rare music from the 15th century to familiar contemporary favorites. 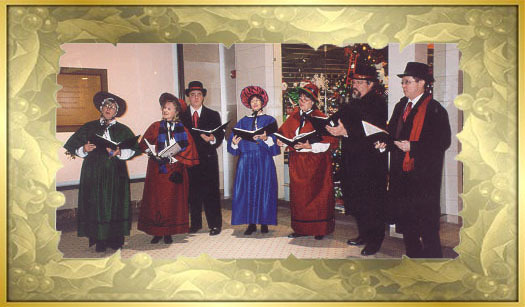 Sample recordings of the Merry Christmas Carolers are included below and are marked by the Christmas bell . We hope you enjoy listening to them. The sample carols were recorded at Mocking Bird Recording Studio, Mansfield, MA.